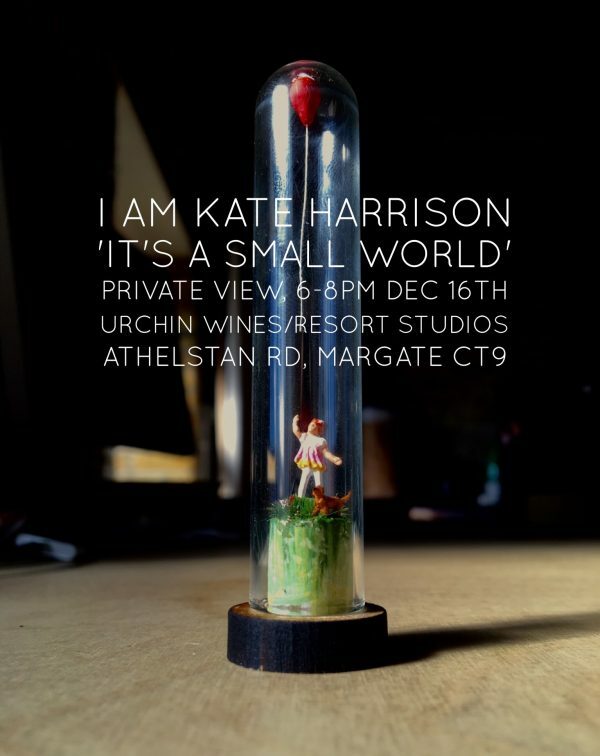 Kate Harrison’s first solo show, brings together her love of reimagining objects that might otherwise be lost or forgotten, with narratives sometimes dark but more often quirky. Moments are frozen in time and captured in vessels, such as test tubes, domes and glass cloches to create miniature dioramas. A range of works will be displayed using dried insects and plants; stones and shells; resin cast centimetre high figures and vintage comic text, including a special Urchin Wines themed piece.